Customers at a 99 Yen shop in Tokyo, Japan. 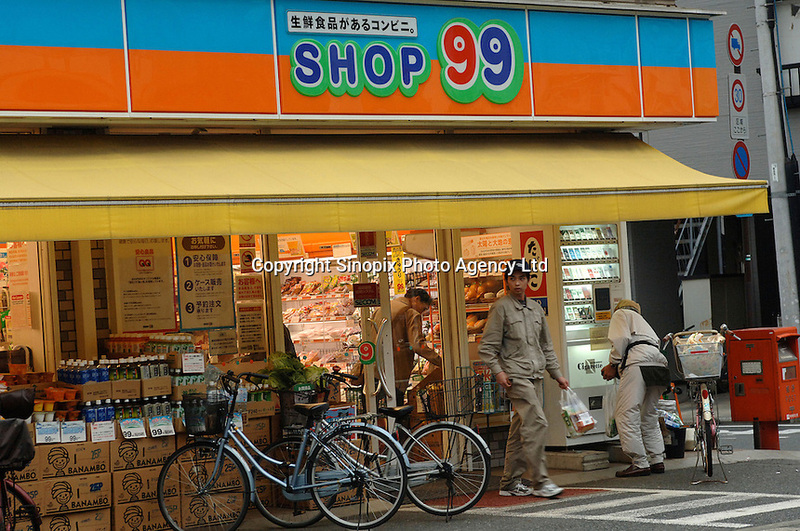 The 99 Yen shop, along with similar shops such as the "100 Yen shop" have been runaway successes in Japan and undergone rapid expension in the past years. The shops sell a wide variety of products for 100 yen (0.7 euros)..